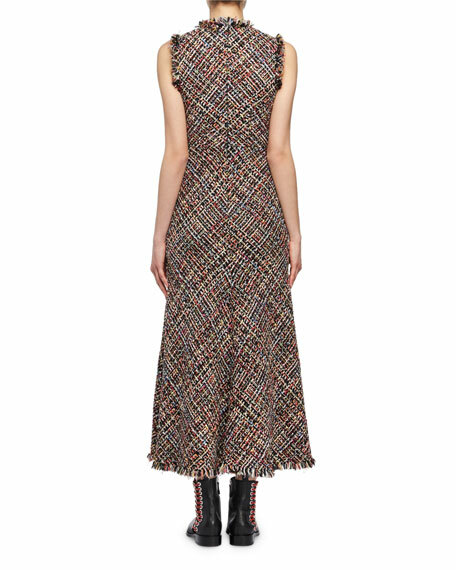 Alexander McQueen dress in "Wishing Tree" multicolor tweed with frayed edges. Nips in at the waist. 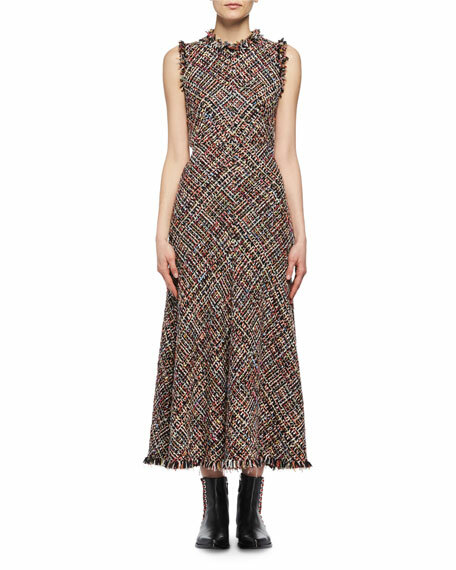 For in-store inquiries, use sku #2250049.